Bakerella has shared with us awesome cake pops and now there a limitless supply of cake ball/pop making products. I happen to not really enjoy making cake pops. Although, I have made some, like the popular Monster High Skullette cake pop, but they are just time consuming, finicky, and unless you actually make them - they are way under appreciated for the amount of time they take to make. But, that's just my opinion. So to make my cake balls a more uniform size (I do use a scoop but they still come out deformed, not a perfect ball) I picked up a silicone mold. It only has 20 openings in it, and technically you could bake the balls in them with the stick, but I still prefer the cake mixed with the frosting over the ball of cake. Does that make sense? 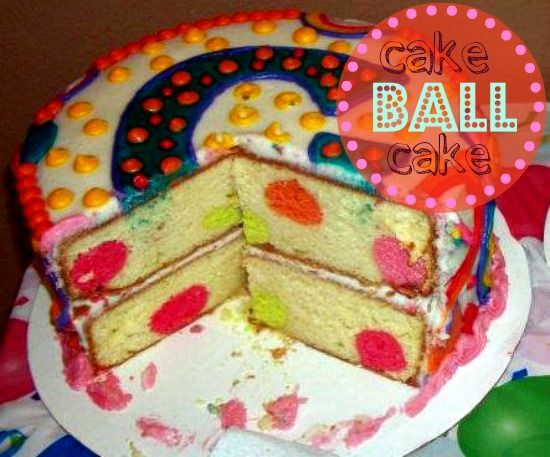 That is, until someone wanted a cake ball cake! It was so fun to make, and now I am pretty much obsessed with them! 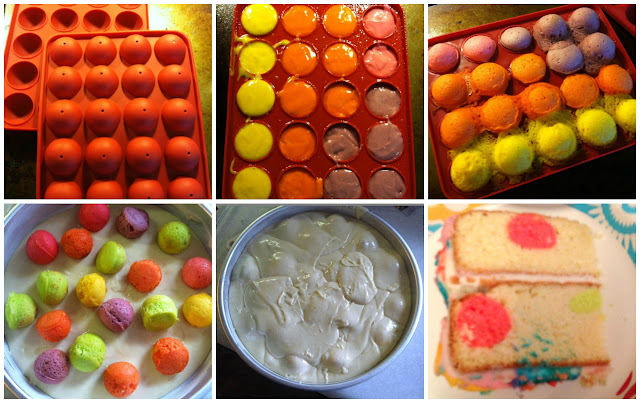 I want to add colored balls to every cake and cupcake I make! Making it took a little more time than just tossing a cake together, but it was so worth it! I thought that baking the cake balls twice might make them tough or gross, but they didn't. They stayed moist and had a uniform flavor with the rest of the cake.